Workout Wonder boosts you into action pre-workout and helps you recover with an uplifting cocktail of herbs and extracts. A gym-bag must! Ideal pre + post workout, get the best from your body! 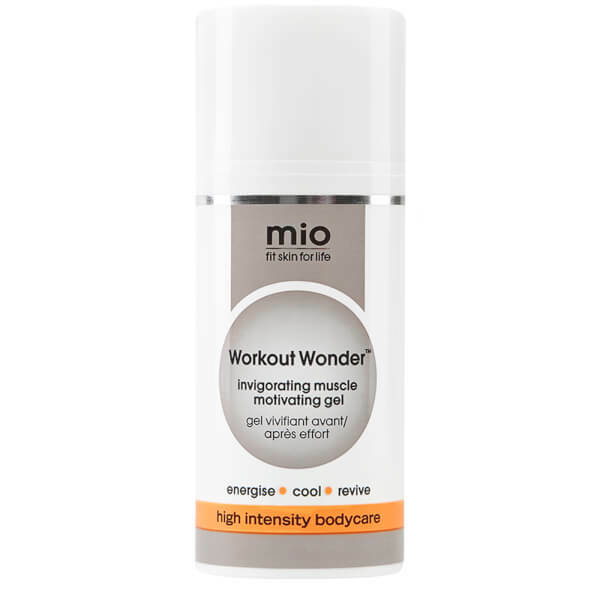 Workout Wonder™, ideal before and after any exercise or when you need an rapid blast of revitalisation. It boosts you into action so you get the best from your workout and then helps you recover by infusing your skin with its incredible uplifting cocktail of herbs and extracts. Rapidly cooling and revitalising with an Essential Oil Blend. This incredible blend of essential oils and extracts, including Mentha Arvensis Leaf Oil, Citrus Lemon Peel Oil and Cypress Leaf Oil help ease and relax muscles. Smells amazing too! 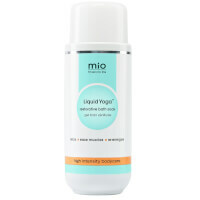 We’ve made all our Mio formulas even cleaner with our evolved No Nasties policy. Workout Wonder is totally free from parabens, petrolatum, colourants, xenoestrogens, PEGs and pthalates. Horse Chestnut and Horsetail Extracts, rich in natural Magnesium. Arnica Montana Flower Extract A traditionally used botanical. Spearmint Leaf (Mentha Viridis) Oil and Peppermint (Mentha Piperita) Oil Freshening, cleansing and stimulating. Fig Extract, Shea and Murumuru Butter Powerful moisturising actives that balance skin to keep it looking smooth and supple. Perfect pre or post workouts. I'm a complete fitness addict. I work as a group exercise instructor and personal trainer, in addition I'm a fitness competitor so I train hard almost everyday. An occupational hazard is that my muscles often ache after a heavy training session. If they're too painful it makes teaching incredibly challenging so I've tried many different creams and remedies to help. I was introduced to Workout Wonder three years ago whist at an industry convention in the US and a bottle has been in my gym bag ever since. It REALLY helps ease the heavy, tender, aching feeling and keeps me moving. 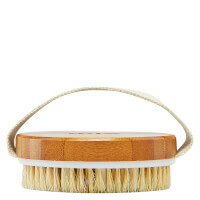 It has an amazing minty smell and you can actually feel it working just a few minutes after application by giving the area a warming tingle. I've recommended it to friends and clients alike and have since brought numerous other Mio products and have never been disappointed. Thank you Mio. You keep me moving and able to do what I love to do! This is fab and versatile. Primarily used for when you ache after doing great work down the gym but this is also really good for general aches and pains. I often suffer with back pain and instead of taking ibuprofen, I use this gel and it works for me. I have also used very small amounts on my temples when suffering with a migraine and it has helped. I don't usually write reviews, but I was so impressed I felt I had to. I returned to the gym after 2 months out due to injury. I did what I thought was a light workout compared to my pre injury levels, and to say I was aching the next day was an understatement. Then I remembered I had a trial sample of this workout wonder gel, I didn't think it would make any difference but I put it all over my sore aching muscles. Honestly within about 30mins my muscle ache was dramatically reduced!! The smell is lovely and fresh and invigorating and the gel felt nice, cold and tingly, it absorbed immediately and wasn't sticky. Suffice to say, I immediately bought a full sized bottle. I first discovered Workout Wonder when I was given it as a birthday gift. The timing was perfect as, at the age of 44, I had just started on a new fitness regime of rowing, tennis and running, having spent years running around after my children but failing to do enough exercise myself. 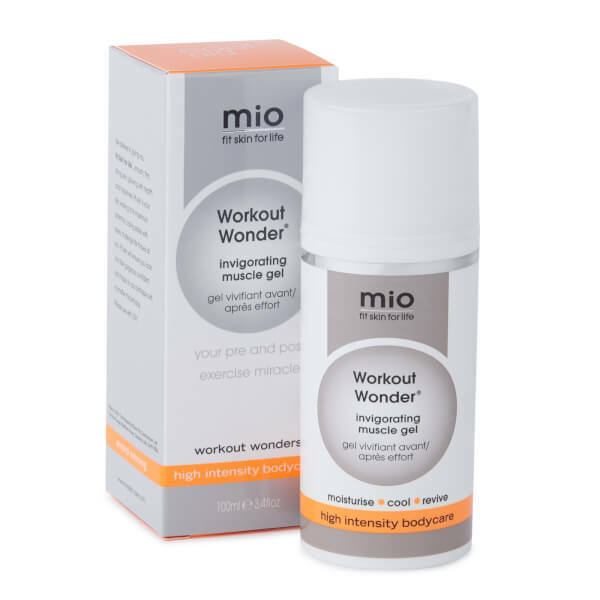 I had permanent muscle ache in one area or another until I used Workout Wonder. Not only does it soothe and cool tired, aching muscles and prevent that 'day after' stiffness, but it almost seems to help firm everything up! Used before exercise it makes muscles last longer before the ache sets in. It is definitely better than an ice bath and smells fantastic too. I would wholeheartedly recommend it.